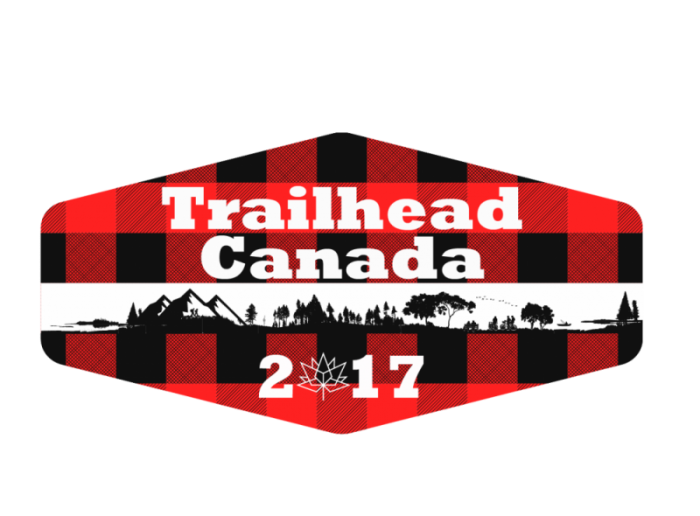 Presentation links from Trailhead Canada 2017 can be found under the session code beside the speaker’s name. Presentation Mr. David C. Read, East Coast Greenway Alliance, Board of Trustees. Mark Schmidt began developing trails in the mid-1990’s, while volunteering for several trail organizations throughout Ontario.In 2001 Mark turned his hobby into a profession and now has over 15 years of professional trails experience including trail design/planning, trail construction, trail management, trail assessment and trail restoration. Mark has also lead over 150 trail education workshops focusing on a range of trail topics from trail design to advanced trail construction.He joined Parks Canada, as National Trails Analyst, in January 2010 and is responsible for the creation of national trail guidelines, creating new trail resources, working with external partners, and providing trail support for Parks Canada’s field units. In the last 5 years, Mark has worked in over 28 Parks Canada sites across the country.Mark has traveled the world working on trail projects but has spent most of his time working with land agencies in North America. Mark has consulted and worked on trails in almost all the USA States and all Canadian Provinces and Territories. In addition to consulting on trails, Mark has experience teaching at Capilano University in British Columbia as lead instructor in the Park and Trail Design courses and as a program convenor.Mark spends most of the time exploring the world with his wife and 3 little girls. 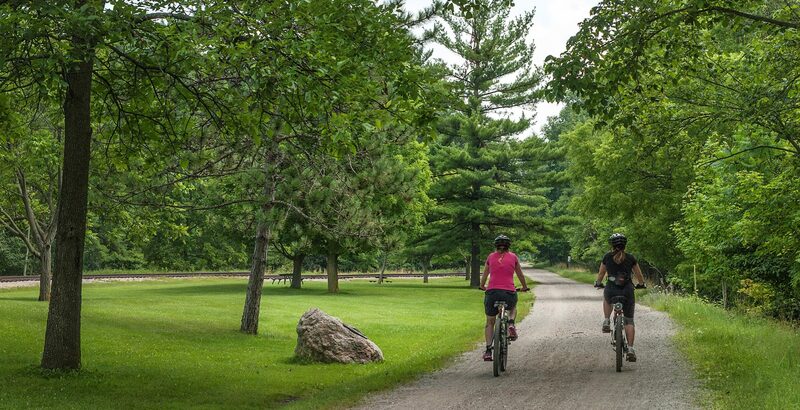 Any leftover time is spent mountain biking, hiking and enjoying the outdoors.Parks Canada manages a large network of trails across the country. These trails range from high alpine routes in the mountains to flat surfaced trails in the prairies and include a large variety of different uses. Parks Canada’s Lead Trails Analyst will share new approaches being used to ensure that the trails we use today will be around for future generations and how these trails are managed for the variety of uses that modern trails are seeing. Some of the tools being covered include market segmentation and understanding user’s needs, trail conflict resolutions, trail themes and classification, and more. Michael Haynes is considered one of the leading authorities of the outdoors in Eastern Canada. His titles include Hiking Trails of Mainland Nova Scotia, Hiking Trails of Cape Breton, Hiking Trails of Ottawa, and Trails of Halifax Regional Municipality, Hiking Trails of Montreal, and most recently: Trails of Prince Edward Island.Michael has hiked in every province in Canada, throughout the U.S., Australia, and several countries in Europe and Asia. He tries to walk every day: from 2010-2016, he walked/ran more than 36,000,000 steps, or 30,000+km – a daily average of nearly 15 km. When not hiking, he orienteers, runs, bikes, cross-country skis, and otherwise to keep active.In addition to writing about trails, Michael also works in trail development and active transportation. He is the Director of TransActive Solutions, working to improve the walkability and bike-ability of Canadian communities, and has worked as a member of the consulting team that has produced trail plans for communities such as Sault Ste. Marie, Chatham-Kent, and North Grenville, and active transportation/bike plans for Oromocto NB, Corner Brook NL, Colchester County NS, and Essex County ON. Michael has been a keynote presenter at Canadian, Australian, and American national trail conferences.Michael has been a regular contributor to CBC Radio in Halifax, Sydney, and Ottawa. In addition to his books and radio appearances, Haynes has published numerous articles about Canada’s outdoors, both locally and nationally. Garth Pottruff, Owner of the Outdoor Adventure Company… Grand River Rafting.Garth’s one-room school career ended as a Professional Forrester with the MNR. In 2006 he started an outdoor learning adventure company with his son, Chad, on the Grand River near Paris Ontario.They offered interpretive guided trips, making the landscape come alive with history and fauna. Hiking and floating classrooms became their trademark.In February of 2017, the team realized nobody else in Canada could do what they do…. so they went live with their outdoor programs.,The results… average attendance went from 600 students in May and June to over 2,500 students in 3 months.With a staff of 50 and a capacity of 900 people a day… the passion to introduce people to the outdoors… has become a contagious pursuit. Dave is a Serial Entrepreneur, Author of the cybersecurity book “Breached”, an avid Off-road Motorcycle Rider & Food Lover. Dave has been involved in cybersecurity for almost 20 years.He founded and built an InfoSec company called Sentry Metrics, building one of Canada’s most successful, managed security service providers, after selling the company in 2014, Dave then launched Uzado, a Cloud-based InfoSec company focused on helping companies simplify Cybersecurity by answering the questions “what now?” or “what next?”. He also has his hands in several other cyber Security based companies. Dave recently launched Canada Rides, an off-road motorcycle training company, headquartered in Simcoe County, a beautiful region in his home province of Ontario. This venture provides both off-road motorcycle and ATV safety training.Since discovering motorcycling almost 10 years ago, Dave has given back to the sport by sitting on the Boards of SCORRA and the ODSC, two Ontario-based off-road motorcycling organizations. Dave was the President of the Ontario Federation of Trail Riders for 5 years and is currently their Past President.After 4 years on the Motorcyclist Confederation of Canada’s Board of Directors, Dave assumed the role of Chair in late 2015. Dave is an MSF training instructor, a CASI ATV Instructor and is currently in the process of building a training facility. Carolyn Richards lives in the town of Lindsay ON, about 1 1/2 hours north of the East end of Toronto. She has 2 boys both of which began their postsecondary education journey this fall, although one remains at home she is very close to becoming an empty nester. Carolyn works for a local insurance company as a Commercial Business insurance broker and of course is an avid ATVer. Her area has the largest club in Ontario with some 1,300 members. Carolyn joined Kawartha ATV Association in 2008, served on their Board beginning in 2010, and became President in 2013.Kawartha ATV Association has a trail system that is about 400 miles in length and has a diverse combination of Private, municipally managed, and federal government managed or “Crown” land.You can bet that each one has their own playbook for what is and is not permitted on their land to allow it to be accessible to ATVs, Dirt Bikes & 4×4 trucks. Carolyn is also the past 2nd vice president of the AQCC, and the Chair of the International Safety Week Campaign, a CASI ATV Instructor and a ROHVA Driver Coach. Dennis is a long-time advocate and volunteer of organized snowmobiling, now the Executive Director of the Canadian Council of Snowmobile Organizations (CCSO).Dennis previously worked in management roles leading teams and coordinating complex capital investments.Dennis has been very successful in partnering with all levels of government on funding initiatives designed to enhance organized trails all across Canada. (Journalism) and the University of Guelph (Community Development). She has worked in the field of community organizing for more than 20 years – at local, national and international levels. An off-road motorcycle rider herself, Oksana appreciates both riding and working hard with volunteers to help them attain their goals. Véronique Pelletier is working at Parks Canada as a Visitor Experience Infrastructure Officer focusing on trails. As part of the national office, Véronique develops policies, standards, and other tools to guide the development and management of trails, and support national sites in their trail projects delivery.Prior to joining the Agency in January 2016, Véronique worked in the private sector for ten years on a variety of projects across Canada. Her project experience includes parks and open space planning, pathways and trails planning, tourism planning, urban design, and park design.Véronique is a Registered Professional Planner and Landscape Architect. Terri LeRoux has been the Executive Director of the Credit Valley Conservation Foundation (CVCF) since July 2005. In this capacity, Terri works collaboratively with the Board of Directors ensuring that financial support from CVCF permits Credit Valley Conservation (CVC) to make continuous progress towards the achievement of its mission. Specifically, Terri formulates and executes comprehensive fund development strategies that enhance revenue from major donors, foundations, government agencies, and corporations.Personally obsessed with Ontario’s trail network, Terri has been an active relationship builder, leader, and strategist with organizations such as Hike Ontario, National Trails Coalition and the Ontario Trails Council.,In her role with CVCF / CVC, she led a successful ten-year campaign that raised more than $2 million dollars and constructed 10 kilometers of fully accessible perimeter lake side trail at Island Lake Conservation Area.As the current project manager of the Credit Valley Trail, Terri is leading the creation of a Trail Master Plan for a continuous 100-kilometer trail predominantly following the main Credit River valley in Ontario from the Headwaters in Orangeville to Port Credit at Lake Ontario.The co-author of two publications, Best Practices for Increasing Walking and Hiking on Ontario’s Trails and the Hike Ontario Young Hiker’s Program, Terri was the recipient of the Hike Ontario Volunteer of the Year Award in 2009. Prior to non-profit management, Terri worked as a Provincial Park Warden, Fisheries Officer and as a member of the Emergency Response Team in Ontario’s Provincial Parks (Presqu’ile and Algonquin). Deanna Cheriton began working for TRCA in 1998 while completing her undergraduate degree in Geography with a minor in Canadian Studies at the University of Guelph. She continued her education, earning a Masters of Environmental Studies in Planning from the University of Waterloo, all the while continuing to work for TRCA in the conservation parks and greenspace management streams. She currently holds the position of Supervisor, Greenspace Conservation at TRCA. Her team is responsible for preparing land management plans, master plans and trail plans that set guidelines for management of TRCA properties and for inventorying, auditing and assessing the use and assets of TRCA’s conservation lands and trails, among various “other duties, as assigned.” Deanna’s experience working in the conservation parks system frames her greenspace management initiatives and allows her to test planning theory against practice. Jane is a trail recreation and tourism consultant with a focus on community and stakeholder engagement. Jane is passionate about the advancement of trail and cycling infrastructure in Canada and has had the opportunity to see the evolution of many trails from trail development to successful tourism and active transportation products.Jane was instrumental in the development and launch of the Destination Trail Assessment Tool through Atlantic Canada Trails. This program saw the assessment of nearly 40 trails in Atlantic Canada with 12 reaching destination trail status. This tool resulted in the enhancement of many long-distance trails throughout Atlantic Canada.As the former National Director of Trail with the Trans Canada Trail, Jane was involved in the development of 10,000km of land and water trail along with road cycling infrastructure to ensure the successful connection of The Great Trail (Trans Canada Trail) by 2017. In this role, she was the lead for the development of the National Road Cycling Strategy and the National Signage Program which provided opportunities to brand trails and road cycling infrastructure as well as enhancing the overall experience for the user.Jane provided leadership and expertise in organizing an ACOA Best Practice Mission to the Great Allegheny Passage to learn about the Trail Town Program and has participated in four Best Practice Missions in Canada and the United States to learn about the cycling and hiking tourism opportunities that enhance the trail product. Jane was the keynote speaker at the 2013 Transportation Association of Canada Conference to discuss the road cycling plans for The Great Trail and is a proven leader in the trail industry with speaking opportunities and international, national, provincial and regional conferences.In her capacity as Principal with Terminus Consulting she recently conducted a series of Destination Trail Assessments for the Province of New Brunswick’s Department of Tourism, Culture and Heritage and is currently developing the Bicycle Friendly Nova Scotia program for Bicycle Nova Scotia. M. Serge Joly is a volunteer board member of the Prescott-Russell Recreation Trail Corporation since 2016. He also served as a board member at the early stage of the Corporation from 2003 to 2006. He graduated from Algonquin College, Recreation program in the 70’s. Serge is an avid cyclist on both recreation trails and secondary roads. Mr. Joly’s goal is to ensure the continuous maintenance and improvement of the Prescott- Russell Recreation Trail throughout its community so that the Trail stands a chance of being part of the regional and provincial cycling network. Carol Oitment is a policy advisor with the Ministry of Tourism, Culture, and Sport. Her portfolio includes trails. Carol has been involved with the development of the Ontario Trails Strategy, the Ontario Trails Action Plan and trails legislation Before joining the Provincial Government, Carol worked with parks and trails in municipal, not-for-profit and private sector settings including developing Parks and Recreation Master Plans for a number of municipalities across Ontario. Julia Barnes is Senior Policy Advisor in the Ontario Ministry of Transportation’s Sustainable and Innovative Transportation Office, where she has worked on the development and implementation of Ontario’s Cycling Strategy since 2013.,She has contributed to policy and program development in three Ontario ministries and holds a Masters in Geography and Environmental Studies from the University of Toronto. Graduated from Montréal University’s Institute of Urban Planning, M. Louis Carpentier has been Route verte’s director of development since 2006 at Vélo Québec. In constant contact with managers and partners throughout Quebec, he coordinates the activities related to completion and enhancement of the national cycle route.He also ensures the continuous improvement of the Route verte being the main pivot of the project within the Vélo Québec team.Louis Carpentier also sits as Vice-President of the Conseil Québécois du Sentier Transcanadien. For 30 years Patrick has conducted, designed and facilitated management process leading to changes in national, local and provincial government, and community and public institutions in the funding, policy or service delivery.Key achievements include helping to secure $35M in funding for trails, including Trans Canada Trail (TCT) lands through the National Trails Coalition project of 2009-10, 2014-16 that resulted in tens of, thousands of kilometers of multi-use trail refurbished and maintained for continued public use.A convenor of conferences, publisher of papers, and enactor of change, Patrick is equipped with extensive trail development experience aided by a unique practice-based methodology and a keen understanding of trail planning processes and stakeholders in Canada. In 2012, Patrick was awarded the QEII Diamond Jubilee Medal for Service to Canada.He is a member of The Canadian Society of Association Executives as well as The Economic Developers Association of Canada. Zane believes the purpose of the outdoor adventure is to create memorable experiences; the key facilitator of which is a trail. His professional trail experience spans back over 13 years by helping to develop the Sawmill Nordic Ski Center into a successful and profitable venue.While pursuing a Bachelor’s of Education he realized the benefit of the outdoor environment as a classroom and naturally tried to include trails whenever possible in his teachings.His summer breaks were spent working for Bruce County as a trails technician where he gained valuable experience building a variety of sustainable trails varying from mountain bike single track to 3 metre wide accessible trails. With larger contracts and more work then time the decision was made to end the pursuit of classroom teaching and focus on trails instead.In 2013 he founded TREADscape as a fulltime endeavour with the goal of providing professional trail consulting, designing, building and maintenance services throughout Canada utilizing both mechanized and hand building techniques. His background as a geography teacher, outdoor educator, firefighter, wilderness rescue technician and landscaper all coalesce into TREADscape. When not working as a trail professional, he can be found sharing the trails experience through his guiding business called Explorer’s Tread which he co-owns with his wife Muffy and son Zev. Ottawa and beyond.In his role as Executive Director of the Algonquin to Adirondacks Collaborative, David has been working with the organization on the A2A trail, an international route between the two great parks designed to educate and create a conservation ethic around this critical ecological corridor. A2A completed an “end to end” reconnaissance of the Trail during the first two weeks of October and are now working on the next stage of trail development. EDU1 Jane Murphy, Terminus Consulting Inc.
EDU8 Bill Goulding, Sustainable Trails Inc.